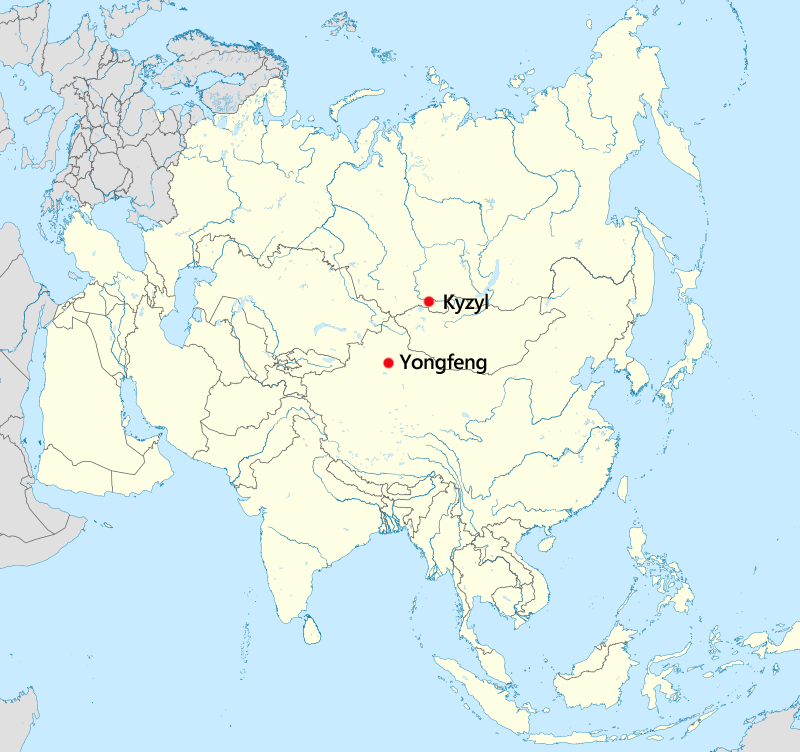 The other geographic center is located 700 km to the south, in a town called Yongfeng, in China, about 30 km away from the city of Ürümqi. A grand monument was erected on this place in 1992. A tower stands 18 meters high and is supported by four posts oriented along the four cardinal directions. From every side, the monument appears in the shape of “A”, referring to the English word “ Asia”. There is a stylized globe on the top of the tower, and a pendulum in the shape of heart hangs from the center, pointing to the geographic center. Before the completion of the monument, the site was marked by a wooden pole stating "Geographic Center of Asia". In order to construct the monument, the village that was originally situated on the land was relocated a kilometer away. The new village is now known as the "Heart of Asia".